Yes. It’s official. Pearl Jam has released all the albums they’ll ever release. It’s over. Bammer, none of us here are 10 Club members anymore; you’ll have to be more explicit. Trust me: you don't want to know. Time cast a spell on you. Seriously, could someone post the actual wording of whatever is being referenced here? Whether as joke or for reals. Last edited by ridleybradout on Mon February 11, 2019 3:29 am, edited 1 time in total. They are selling a shirt with all the existing release on it, maybe? It's a cool idea, but I don't like the execution. Thanks mate. Can now mentally file that in the "Dont need to know" drawer. Instead, like all PJ minutiae, it will be something I will inevitably remember, whilst still forgetting my wedding anniversary date. They put out a shirt commemorating the entirety of the band’s album output. 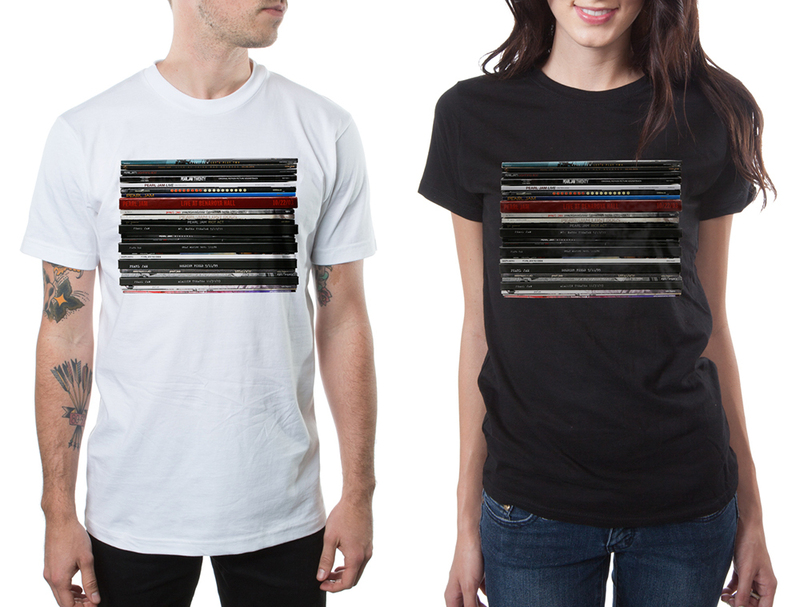 As in: that’s it, all our albums, on a t-shirt, no more after this. Shirts ain't my [Pearl] jam. It’s true. I subscribe to his webcam, and rarely see one. ...and clothes designing 101, horizontal stripes makes you look fat. Not that I need help with that. They cancel each other out?